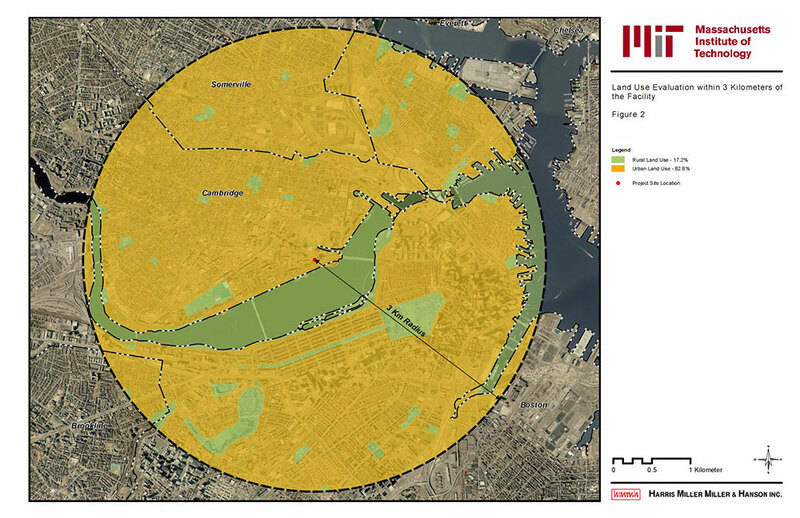 HMMH performed an air quality dispersion modeling analysis for the proposed 750 kilowatt (kW) emergency generator at the Massachusetts Institute of Technology (MIT). The Generator has a relatively small stack height in an area surrounded by larger buildings. A concern for the school was the potential impact of the plume from the Generator on the nearby air intakes and community gathering areas. HMMH performed a Good Engineering Practice (GEP) analysis to account for the potential impacts the buildings may have on the generator plume. Ambient impacts from the generator were evaluated at a variety of nearby sensitive receptor locations for comparison to the National Ambient Air Quality Standards (NAAQS). HMMH worked with MIT to successfully permit the Project and place the generator at the preferred location on-site. As part of the analysis, HMMH completed the Environmental Results Program (ERP) forms for submittal to the Massachusetts Department of Environmental Protection.